To the children and their families served by the Food Bank and our partner agencies,we are often seen as heroes – providing food during difficult economic times and rescuing individuals from having to make decisions like whether to buy food or heat their homes. 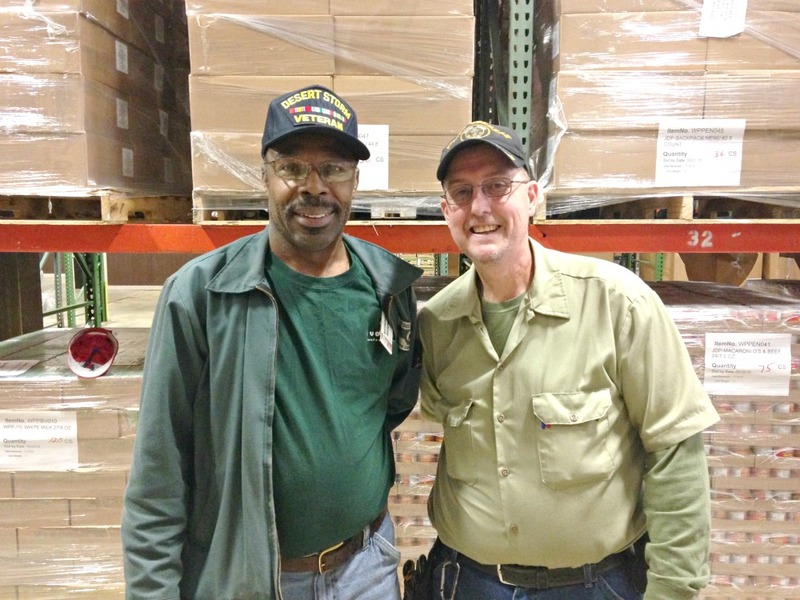 But another group of heroes who are part of the Food Bank family are the many veterans that are both staff members and volunteers at our six branch locations. These veterans continue to serve our country by being part of a team that provides food and hope to people in need in our communities. 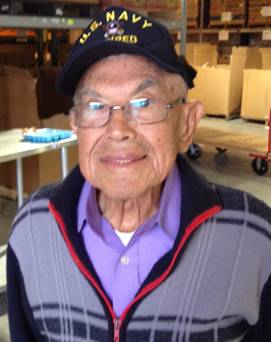 Mr. George Besa is 88 years young and a World War II veteran of the U.S. Navy. He first came to the Food Bank at New Bern with a church group to sort eggs. After that day, he started coming to the Food Bank on a regular basis, helping to sort food and break down boxes. When our front desk volunteer fell ill he did not hesitate to jump in, helping in the office and taking on the task of reorganizing the filing system. George’s smile, wonderful attitude, and enthusiasm for helping others is infectious. It is truly a joy to have him at the New Bern Branch! Anthony Brooks is our Warehouse Coordinator at the Raleigh Branch. He joined the U.S Army on October 3, 1977 and served until April 4, 2004. Brooks was stationed in Germany for three years, Fort Bragg, NC for four years, and Italy for two years. Once leaving active duty, Brooks joined the U.S. Army Reserve Unit in Rocky Mount, NC. Brooks realized a long-term goal by retiring with 27 years of service to his country. William “Craig” Campbell is our Special Programs Administrator & Warehouse Assistant at our Raleigh Branch. He joined the U.S. Army on May 1989 where he underwent basic training and advanced individual training for eight weeks at Ft. Leonardwood, Missouri. He joined the military because his father had also served. Campbell’s military experiences have taken him to South Korea; Ft. Carson, Co. and back to Ft. Leonardwood. 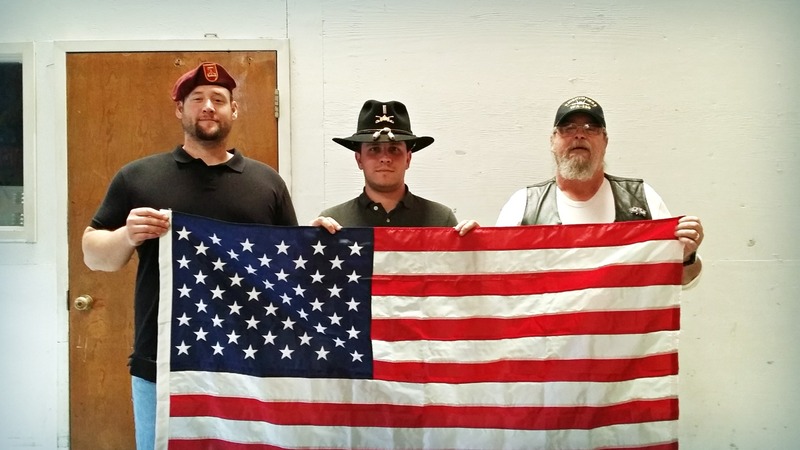 Left to right: Sam Levinson, U.S. Army Vet, Colt Livengood, First Lieutenant U.S. Army, and Daniel Smith, U.S. Navy Vet. Samuel Levinson is the Operations Supervisor of our Sandhills Branch in Southern Pines and a third generation combat veteran. He joined the U.S. Army in December 2003. After training to become an Automated Logistics Specialist he was stationed at Fort Bragg with the 82nd Airborne Division. While stationed there Levinson completed more than 25 jumps, was part of the relief effort after Hurricane Katrina, received an Army Commendation Medal for being a part of the team that won the Army Supply Excellence Award for the Best Large Category Supply Activity in the United States Army, and conducted 15 months of combat operations in Afghanistan. Colt Livengood is the Shopping, Product, and Volunteer Services Coordinator at our Sandhills Branch. He was commissioned as a 2nd Lieutenant (Armor) through the ROTC program at UNC-Pembroke. Livengood was given the privilege to lead 1st platoon, Charlie Company 1-120th Infantry where he cut his teeth as a platoon leader and learned the importance of the Non Commissioned Officer Corps. After 18 months he was fast tracked into a promotion to 1st Lieutenant, and assigned Company Executive Officer of Delta Company 1-120th Infantry. After another 18 months, Livengood earned the right to lead one of only two Mortar Platoons in the state, and was moved to Headquarters and Headquarters Company 1-120TH Infantry where he still serves as the Acting Executive Officer. Daniel Smith is a Driver at our Sandhills Branch. He joined the U.S. Navy at the age of 17 because he felt a sense of duty to serve the country. Smith was stationed in San Diego from 1973 to 1975 and worked on a cargo ship. He helped transfer soldiers and freight. Working in a job that helped other people was what drew him to the Food Bank. 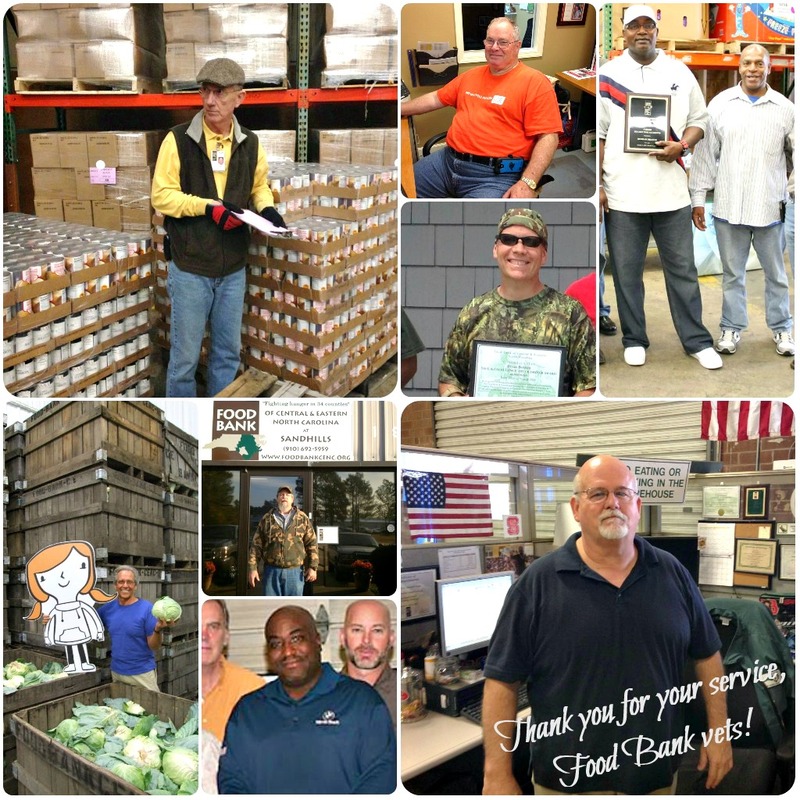 Thanks so much to all of our Food Bank veterans who have served to protect our country and the freedoms we enjoy today and every day. Happy Veterans Day to you all! Veterans are helping other veterans.